Maybe the VW Jetta will be more exclusive? In 2015, the most-popular car models in Switzerland were again the Volkswagen Golf, Skoda Octavia, VW Polo and Audi A3. 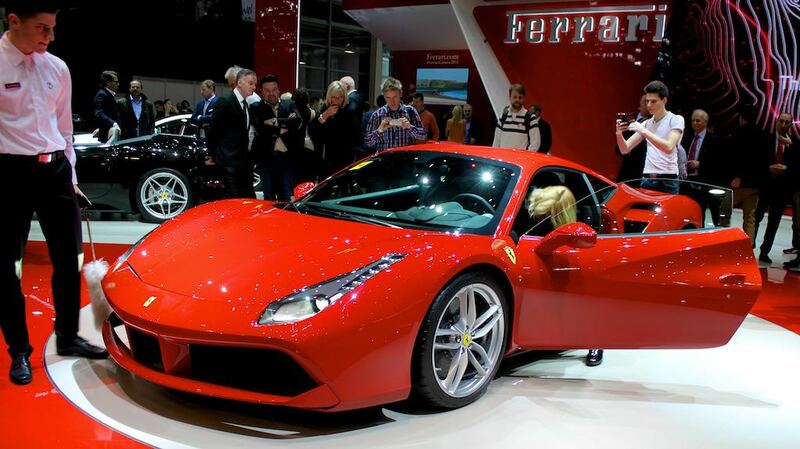 Ferraris again outsold the Jetta. In the highly competitive Swiss new car market, the rank order of the top 30 best-selling cars was much changed. The Swiss new car market grew by 7% to 323,783 cars in 2015. The Swiss car market is highly competitive with over 400 different car models on offer. The Volkswagen Golf, Skoda Octavia and VW Polo were again the three most-popular car models in Switzerland. The Golf has been the best-selling car model in Switzerland since 1994. 1993 was the last year another car model, the Opel Astra, outsold the Golf in Switzerland. The Golf, Octavia and Polo all sold around thousand cars more in 2015 than 2014. The Audi A3 was the fourth most-popular car in Switzerland for the second consecutive year in 2015. The Seat Leon improved from seventh to fifth and the VW Passat from 19th to sixth. The six top-selling car models in Switzerland in 2015 were thus all from the Volkswagen Group. The Mercedes Benz C-Class reentered the top ten list of best-selling car models in Switzerland in 2015. The C Class improved from 34th a year ago to seventh. The Renault Clio improved from 11th to eighth while the VW Tiguan slipped from fifth to ninth. A new Tiguan models is being launched at the start of 2016. The BMW 2 Series entered the top-ten list at tenth place largely due to the popularity of the Active Tourer and Grand Tourer. The three cars dropping out of the top-ten list in Switzerland in 2015 were the BMW 3 Series (from 6 to 11 largely due to the 4 Series being listed separately), the Peugeot 208 (from 9 to 20) and the Audi A4 (from 8 to 29, at least partly due to a model change during the year). Sports, luxury and exotic cars generally sell well in the prosperous Swiss new car market. In 2015, several exotic car models outsold the VW Jetta, which simply does not appeal to Swiss buyers at all. The VW Jetta was the 275th most-popular car model in Switzerland in 2015 while the Ferrari 458 and Ferrari California were around position 250. In comparison, the Porsche 911 is almost mainstream in Switzerland – it just missed out on the top-100 list by four sales positions.